A cold front will bring temperature drops and rain to south China in the next few days, the National Meteorological Center said on Saturday. 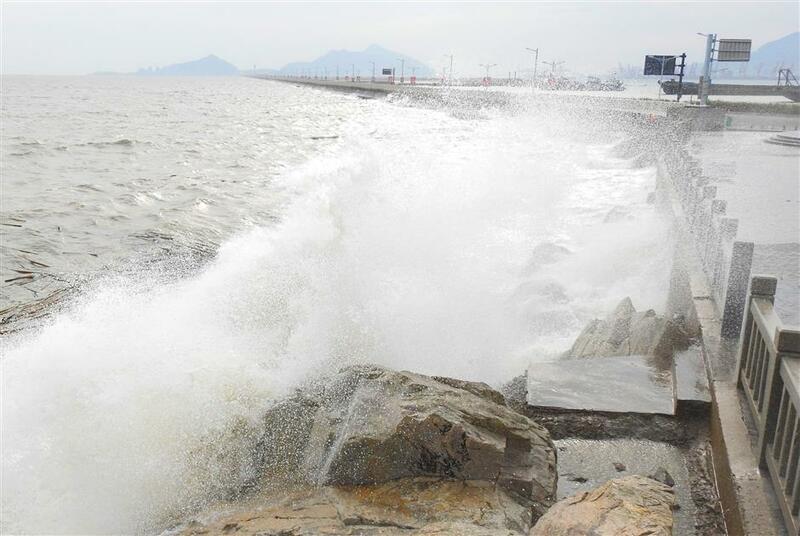 A huge wave crashes on the shore in Lianyungang City, Jiangsu Province, on April 14, 2018. Affected by the cold air, temperatures in southern areas, including Fujian and Guangdong provinces and Guangxi Zhuang Autonomous Region, will drop by 6 to 10 degrees Celsius from Saturday to early Sunday, the NMC said. Along with lower temperatures, rain will be seen in south China in the next three days, with some parts of Guangdong and Guangxi to be hit by heavy rain, the center said. The NMC added that it will pay close attention to the influences of the strong precipitation in south China.